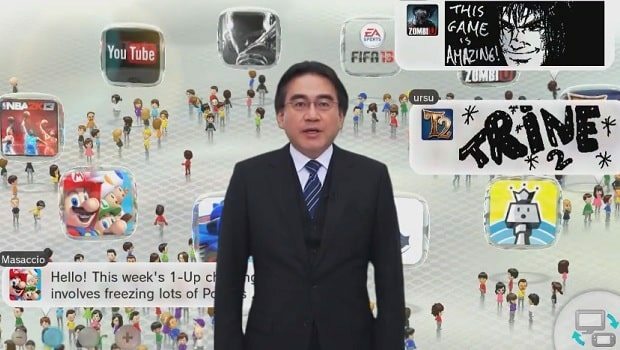 Nintendo’s global president Satoru Iwata yesterday confirmed that improvements will soon be made to the Wii U’s social media service, Miiverse. Having firstly spent time discussing the benefits of the service and how players should best make use of it, Iwata soon commended the number of detailed hand drawings being shared by Wii U owners. Nintendo are beginning to introduce verified user accounts within Miiverse, which will have a green check mark in the upper left corner. These have been identified as official accounts of the registered user, and will see individual developers able to promote games and services through attaching links or embedding YouTube videos within posts. Later down the line, Nintendo will add more official communities per game, improve usability, add a filtering function, and allow users to create their own communities.